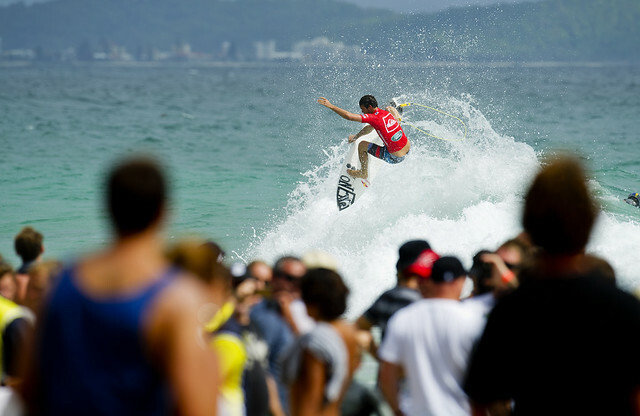 Four times ASP World Champion Stephanie Gilmore (Tweed Heads, NSW, Australia) (pictured) returned to the podium”s highest block defeating Laura Enever (AUS) to win the Roxy Pro Gold Coast at her home break Snapper Rocks on Sunday March 4, 2012. Gilmore showed her intimate knowledge of her home break defeating Enever with a massive 16.37 (out of 20.00) posting a near perfect 9.20 ride (out of ten) off her final ride. defeated with 14.20 to Gilmore”s 16.37 (both out of 20.00).